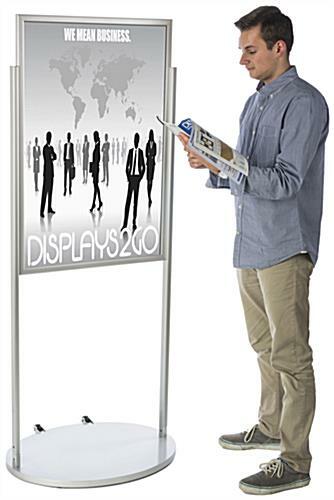 This silver 24 x 36 poster stand with wheels presents a double sided sign holder to display your advertisements for your trade show display or store front. 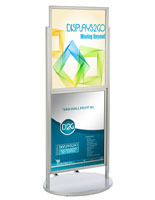 Presenting an easy top loading design, the signage requires little effort to install your billboards or graphics. 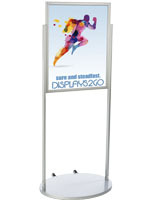 When moving the powder coated poster stand, rear wheels make it effortless for simple placement. 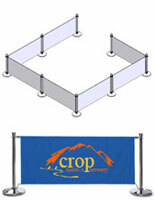 Provided in the box are two double-sided lenses and a single PVC backer for added support to the graphic. 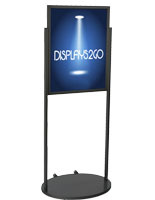 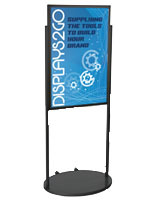 The poster stand can be a great option for your billboard when presenting a show or movie theater advertisement. 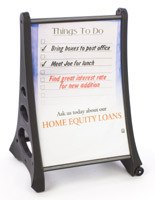 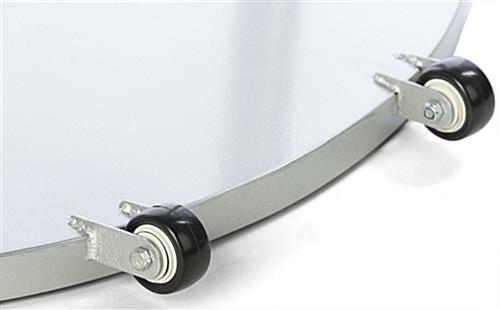 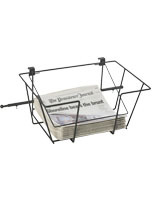 The frame is constructed with a light aluminum metal for durability and long-term use. 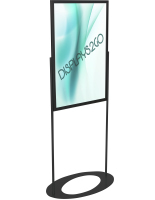 28.0" x 67.5" x 23.4"